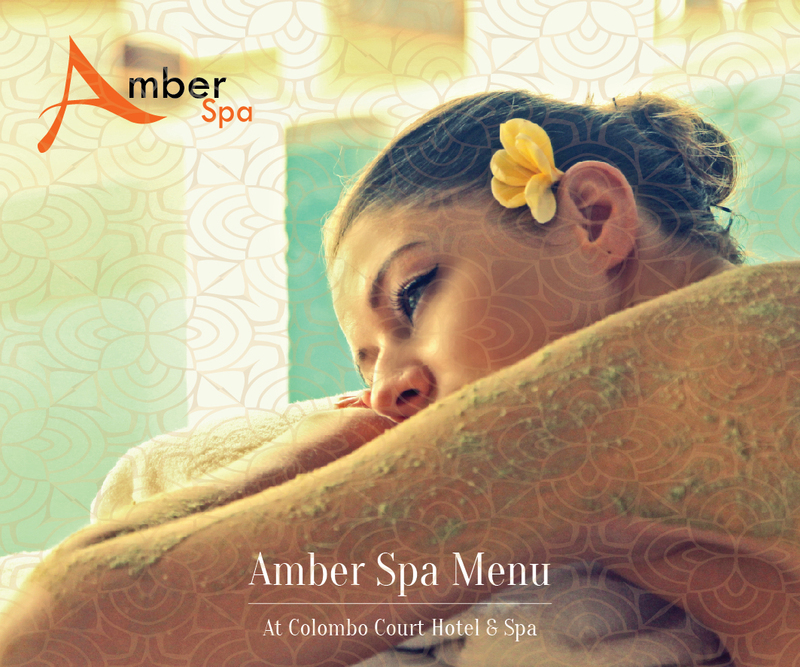 Amber Spa is an oasis of luxurious well being, where the treatments are designed to rejuvenate and relax the tired mind and body. 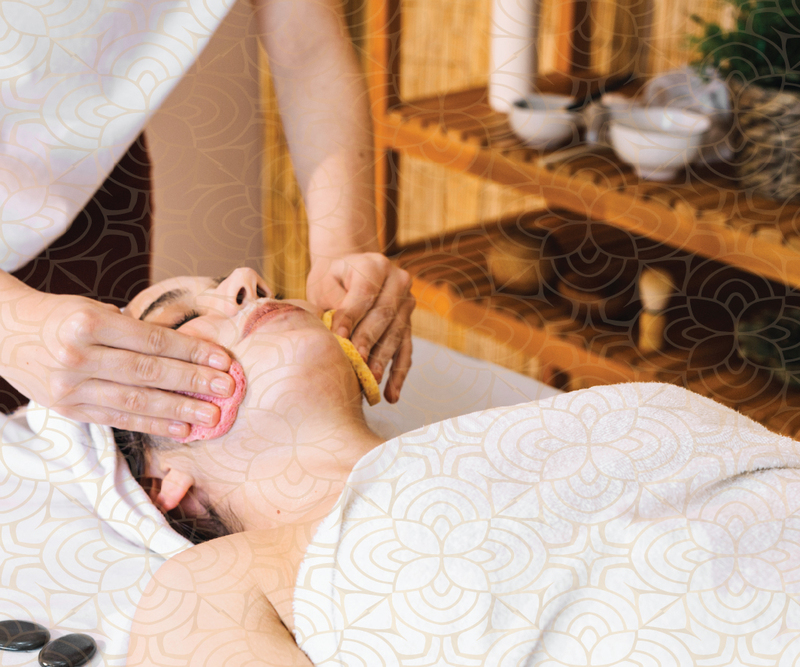 Our Balinese therapists will provide a transformative experience with their expertise, giving you the opportunity to unwind and reconnect with your inner-self. 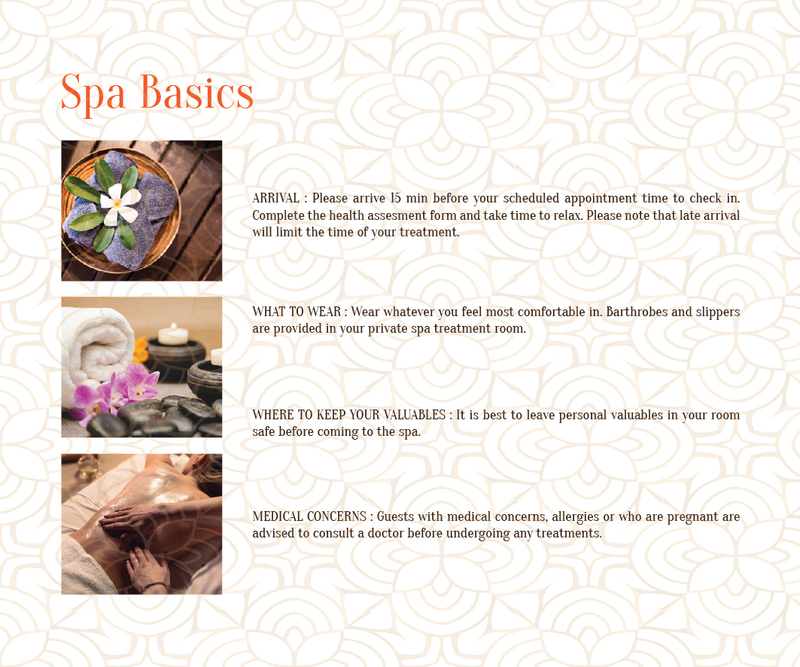 Let our experts assist you in finding a Spa treatment that’s suitable for you and your lifestyle. 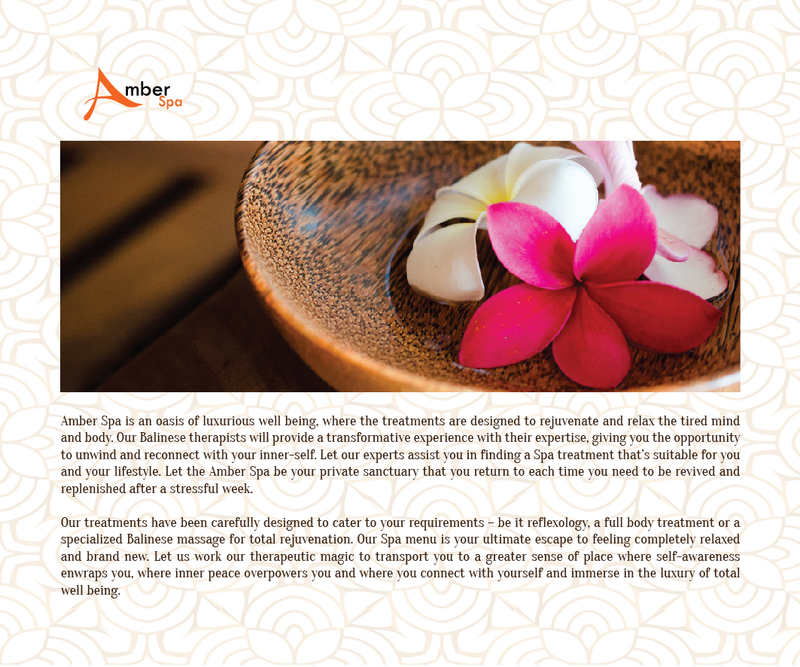 Let the Amber Spa be your private sanctuary that you return to each time you need to be revived and replenished after a stressful week. 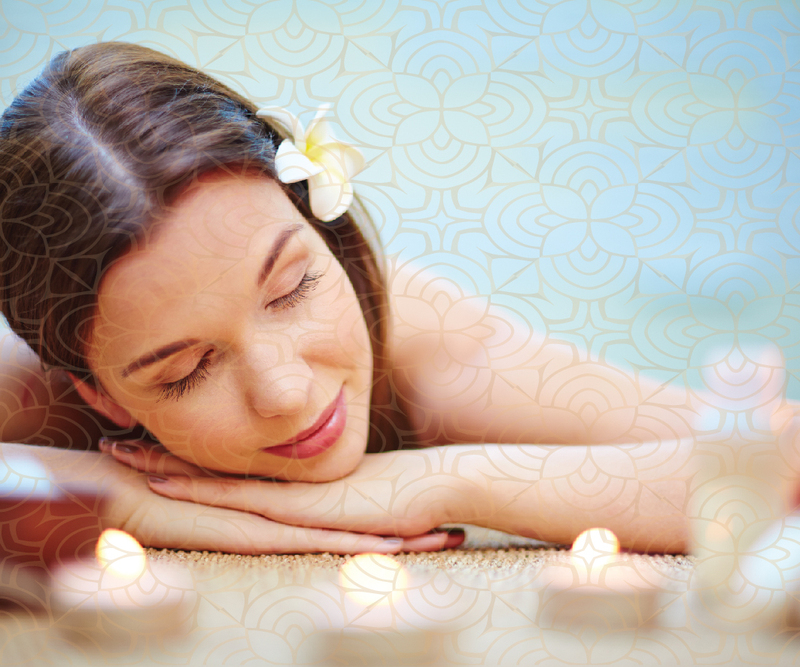 Our treatments have been carefully designed to cater to your requirements – be it reflexology, a full body treatment or a specialized Balinese massage for total rejuvenation. 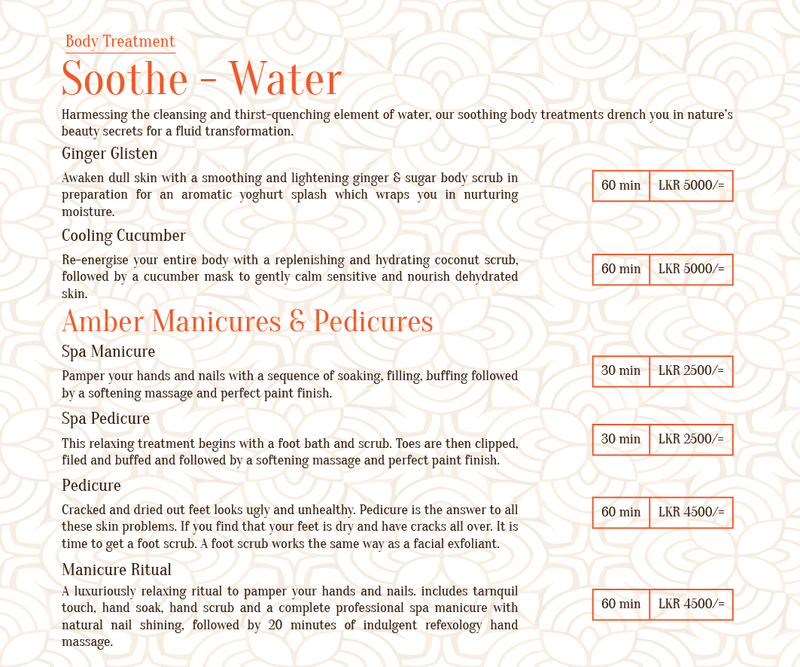 Our Spa menu is your ultimate escape to feeling completely relaxed and brand new. Let us work our therapeutic magic to transport you to a greater sense of place where self-awareness enwraps you, where inner peace overpowers you and where you connect with yourself and immerse in the luxury of total well being. 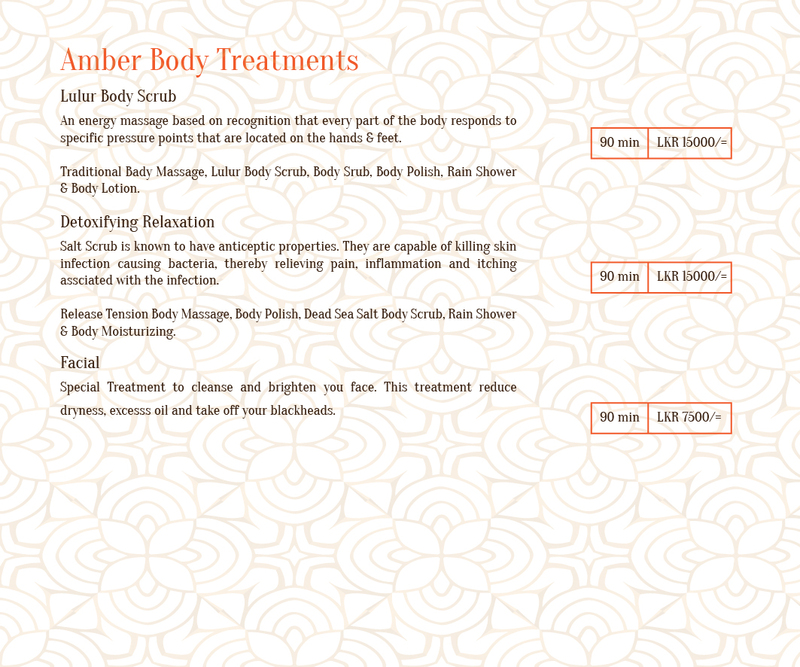 Inspired by traditional relaxing therapies, the Amber Spa has a variety of body treatments for total rejuvenation. The Traditional Balinese Massage leaves you in a state of sublime relaxation, incorporating relaxing and acupressure techniques to improve circulation and pain relief. 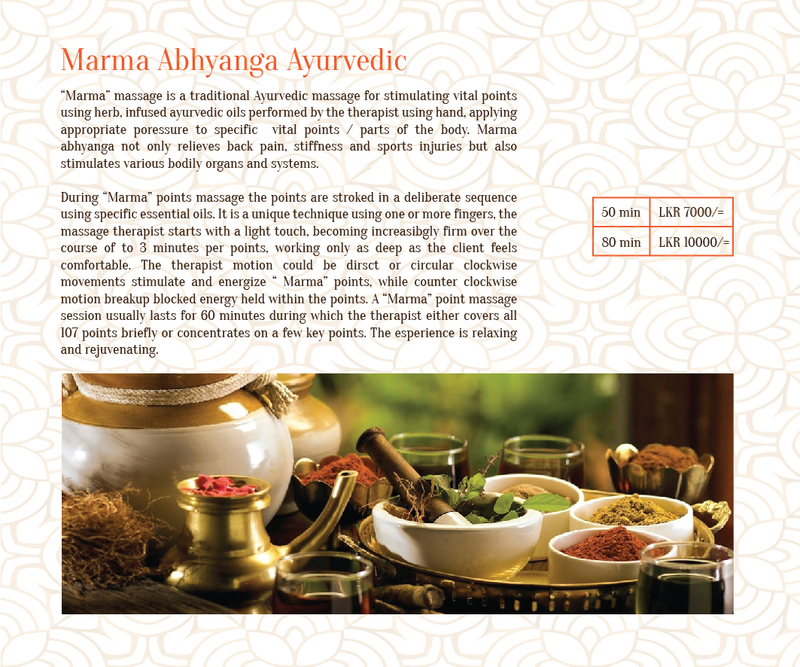 This therapy gently calms and destresses the mind and body, relieving pain and discomfort. The Exotic Warm Stone massage, an Amber Spa Signature massage melts away the tension, eases muscle stiffness and increases circulation and metabolism. It is a deep action purifying ritual that enhances profound relaxation and detoxifying elements that leave you feeling completely rejuvenated. 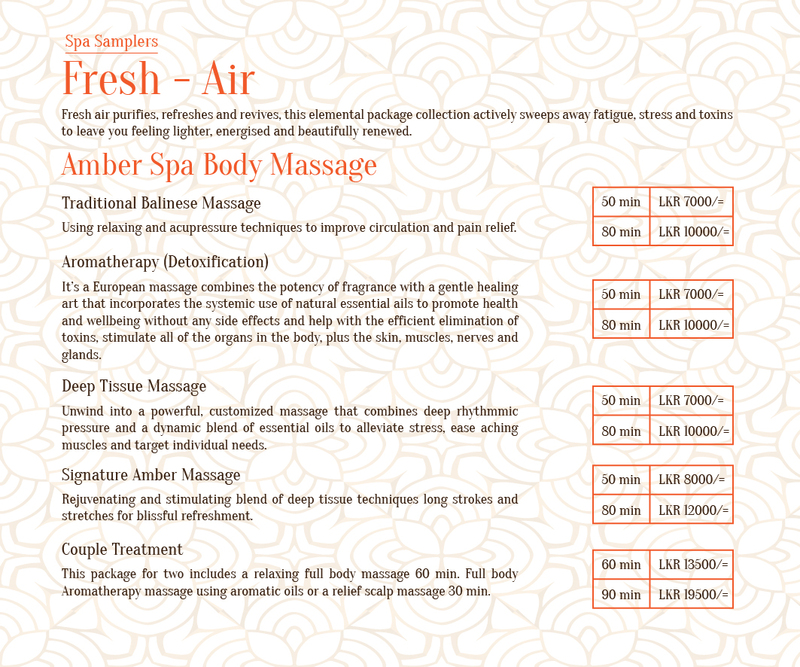 Amber Spa Signature that is designed for all is the Amber Herbal Massage where natural herbs and spices are used as a heat compressor to help soothe and relax muscle tension, reduce bad colds and rheumatic. 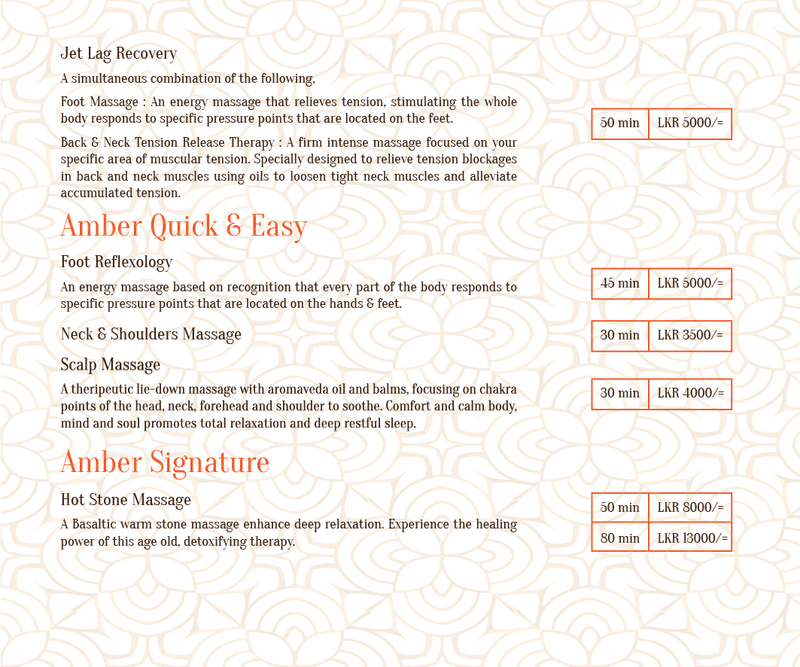 A perfect massage to leave you feeling relaxed, refreshed and like a million dollars! 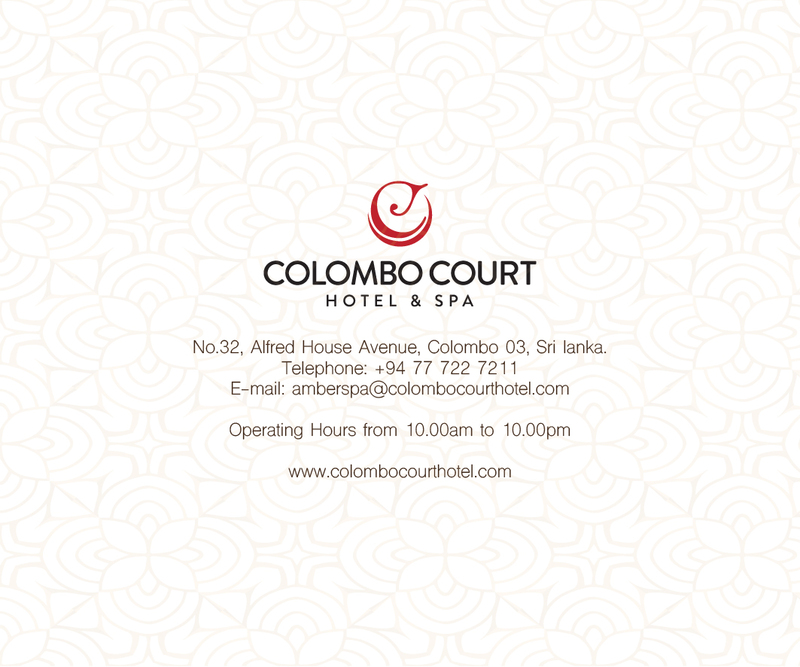 Amber Spa has various body treatments and massages that has a fusion of proven revitalizing therapies to promote total well-being and tranquility.The products used compliment the variety of massages offered to produce the WOW factor. Oils such as Citronella and Cinnamon are used to enhance the aroma leaving you feeling fresh and rejuvenated. Whereas the mixed oils compromise of lavender, olive oil and are used for deep relaxation. All aroma-therapies include herbal spice oils that are mixed using variety of herbs and spices, once used with heat help reduce muscle tensions, pains and aches. Sea Salts are used for detoxing and the removal of dead skin while Sandalwood powder mixed with dead sea salt is used for removing aging cells, dead skin, leaving the skin feeling refreshed with a glow. Lastly, is the Lulur powder especially bought down from Indonesia, a powder containing coloring extract that is traditionally used for brides the day before their wedding for brightening the skin and leaving it smooth and soft.